Has Floriade jumped the shark? I’m feeling a little bit sorry for the organisers of Floriade this year. They’ve had to deal with hideous weather, including some chilly periods (I saw snow on the Brindabellas yesterday) and heavy rain over several days causing them to close the site to the public for two days. They’re copping criticism for the smaller footprint of the event, which is something they couldn’t do much about given the National Capital Authority’s changed requirements. 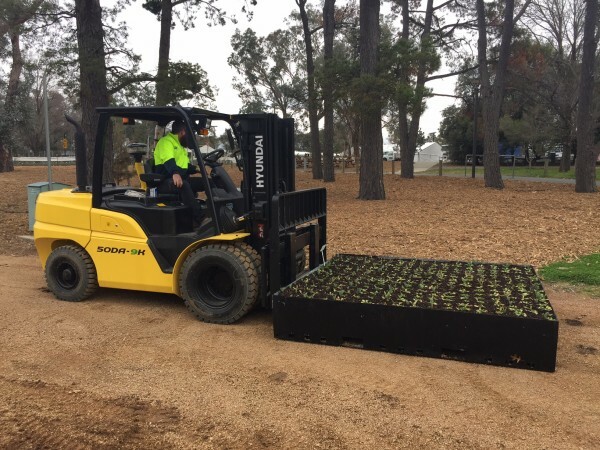 The NCA’s new rules meant they had to move to a model of growing bulbs offsite and trucking them in, which has been an adjustment, albeit an innovative one. 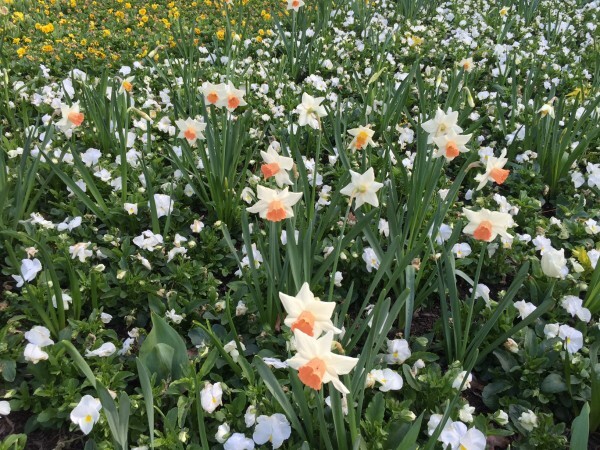 They’re being accused of planting fewer bulbs than in previous years, which the organisers say is not true, though clearly the number of cloudy days we’ve experienced this spring will have impacted on the number of blooms peeking out of the flowerbeds. There are questions about why there was no Face of Floriade this year, and we’re trying to get an official answer on that. Then there are complaints about the food. We had lunch in the food court and I agree, there wasn’t a lot to inspire. I found some decent salads in the corner, but the kids ended up with greasy fish and chips. Something like the noodle markets at Enlighten would be a big improvement on the offering. All in all, though, I found just as much to delight in as in previous years. Gorgeous flowers, cute hand-painted-by-children garden gnomes, the megaslide, the Ferris Wheel and a new personal favourite: the talking lamp post. I reckon the issue here is that for many of us, the concept itself is getting a bit tired. Tourists who are first, second or even third time visitors will probably be dazzled, but on visit number 29, a Canberran can hardly be blamed for feeling as though this is a flower show that’s jumped the shark. How have you found Floriade this year compared to previous years? Has it jumped the shark? Did you get to Nightfest? How as that? What would you like to see organisers do differently in future years? 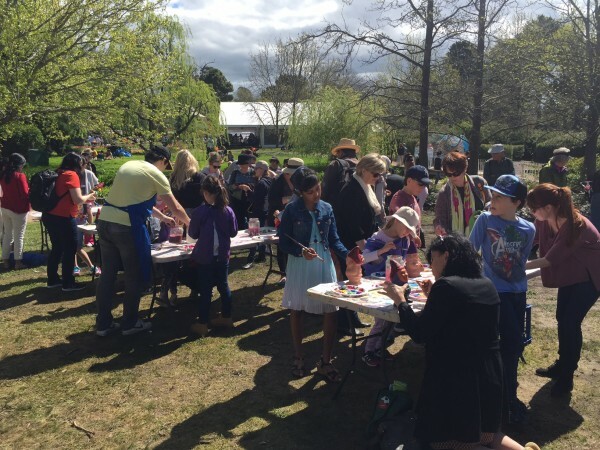 It has become boring and insipid because, as happens EVERY time for EVERY one of Canberra’s festivals, the government attempts to monetise it, or reduce costs compared with the original successful formula. Masses of flowers in an imaginative environment with no fences and the ability for all to wander at will and be amazed and absorbed. Adding the sculpture competition and imaginative and fabulous entertainment including, at its peak in 2006(? ), the performing group Strange Fruit ( https://www.flickr.com/photos/ozjulian/119101374/sizes/o/ ). The sculptures and good quality entertainment gave a whole new dimension to it. Fencing the venue to support the paid evening sessions that always were mediocre. With the fence came the loss of the wonder of wander, the formalisation of the boundaries, less space for interesting components like the sculptures, a ridiculous set of LCD commercial tents, poor food and a poor food venue that did not make the most of the flowers. Just go back to giving what the public want and stop counting beans. Assess things on their value to the show, not their value to ACT coffers. Trying to make direct profits on every aspect has ruined what were originally brilliantly successful festivals. The balloon fiesta is another example. And the Food and Wine fest. It’s a major tourist attraction for Canberra too. A display of massed flowers is amazing – just enjoy it. And its free. People won’t come if it’s lame. And while they don’t charge you at the door during the day, Canberrans pay millions to put Floriade on. And Canberrans pay millions to keep the arboretum afloat. It’s looking very lame at present. Perhaps it needs to be covered in tulips. By its very nature, the arboretum is an attraction whose vision will take time to literally grow. In the meantime, even while the trees are immature, you are starting to see some Autumn colour, and the visitor centre offers one of the best views of Canberra. And its popularity has helped prompt the National Botanic Gardens to get on with a redevelopment and expansion. I think you may have been reading spin from a press release about 6 months old. I wasn’t aware that the ACT Government had any control of the destiny of the National Botanical Gardens either. This was my first time to Floriade – I have wanted to attend this festival for 15 years! I moved to NSW last year so this year, my dream became achievable. However, I must say I was pretty disappointed. 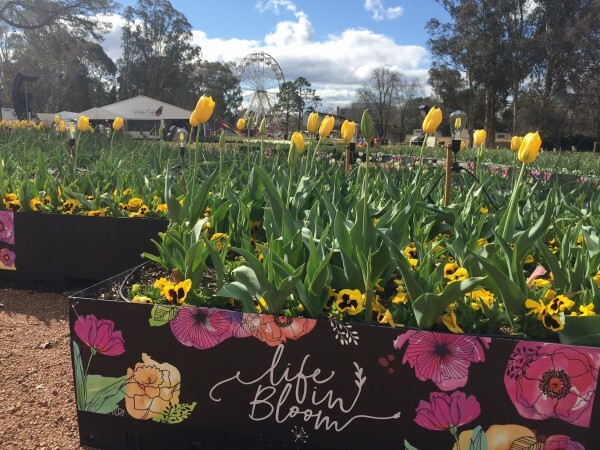 I feel that the scale of the media portrayal and the public interest that Floriade attracts, is quite misleading and, disproportional to the experience I had. I love flowers and color and was looking forward to what I believed would be a feast of these two beautiful things. I expected them to be combined in what I thought, was one of Australia’s leading tulip and flower exhibitions/festivals. The Bolwar Tulip Festival and Tulip Top Gardens I have to say, is what gave me that experience this year. It felt like the crucial focus had fizzled out at Floriade-perhaps a gradual decline over the last few years or so?? There was however, really great family entertainment/activities which was brilliant to see and the floral workshops held by the Floral Society were fantastic. I am positive there are many brilliant ideas that could be injected into Floriade. For me, I think it could be beneficial to invite and involve displays from LOCAL AND NATIONAL plant nursery/ floral/ gardening businesses & also key floral educational departments/schools. This would allow promotion of businesses while injecting more floral displays into the festival that will also come with the added component of learning and information. The hipsters are looking forward to the day when Floriade serves pulled tulips. The Tulip Top Gardens just north of Sutton are the best value going. 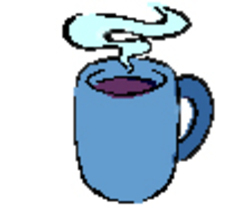 Only $16 entry (concession is $15) which entitles you to a free sausage sandwich and as many cups of tea/coffee as you wish. Other food including Dutch pancakes at reasonable prices. Magnificent permanent displays in established, purpose designed gardens. 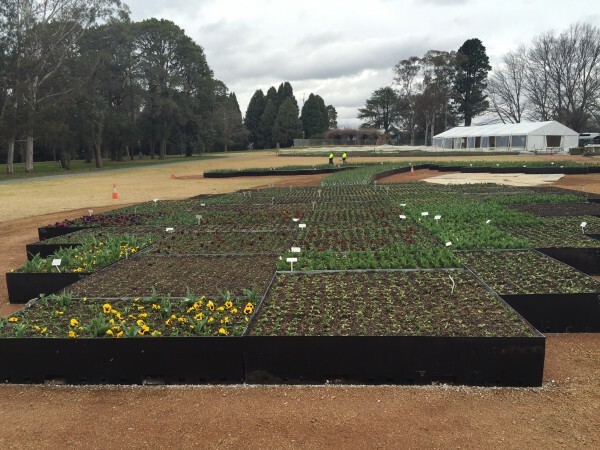 For Floriade to survive it has to be in a permanent setting. It would also do better if it was run by private enterprise. I went this year and it didn’t appear to me to be as good as other years, but I would think the rainy weather might have contributed a lot to that. I didn’t like the containers either. 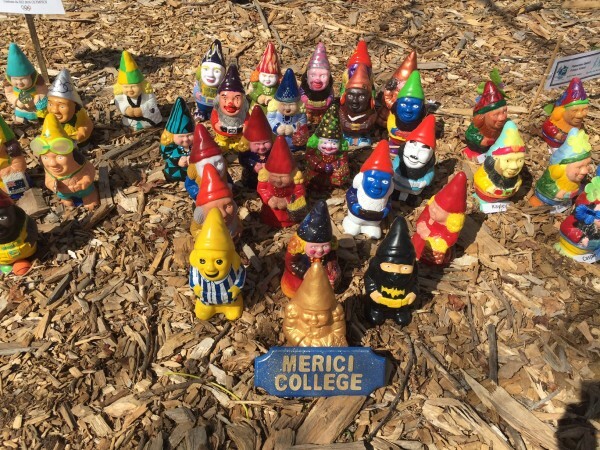 Perhaps the suggestion of some competition gardens might add to the interest. Also, more smaller coffee outlets perhaps spread about the gardens. This might reduce queues. I went on a perfect day and really enjoyed the displays including the new ones in the transportable containers – very clever. Jumped the shark? The whole thing feels just that bit tired in concept. Repetitious even! I’d take a look at the Chelsea Flower show with competitive gardens of different sizes and themes. That would be interesting. As for location I can’t think of a better place. So why can’t the top end management just commit to Floride as one of our city’s and national cultural assets? Thanks Mr Organ man for turning up. How delightful you were in this years location. There wasn’t anything exciting same things as pervious years. When government and tourism bodies are trying to bring international flights and other promotions to Canberra, our best advertised event cant go this low standard anymore. I love Floriade and always look forward to it’s opening. 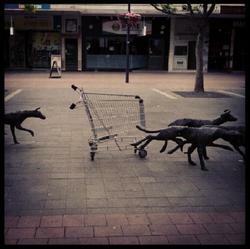 It coincides with the first change in weather for Canberra and is usually full of sunshine. This year has no soul. You can feel the apathy in everyone. The pricing of food and beverages are ridiculous, I paid $6.50 for a standard issue hotdog (bun, frankfurt, sauce). Whilst I appreciate the free gate and kids activities I can’t help but wonder where the sunshine went and I’m not talking about the weather. I’m sad to hear the organisers were restricted but it explains a lot. I agree with the catering issue. Its terrible. But the weather has been most unkind this year too. I thought it was pretty good actually. Going again when this bad weather passes-if it does ! Why can not people just go and enjoy it in its own right instead of wanting it to be very different each year for their own titillation and entertainment. Floriade is no longer interesting to attend, each year you have the exact same food vendors and stall holders; the same events/activities for the kids but oh look the flowers are arranged slightly different. Bring back the ramps so we can actually see the design without needing to mortgage the house to ride the ferris wheel. The whole event needs a complete overhaul, can’t we focus on local talent for our Canberra festival ? Take a leaf of out The Tulip Top Gardens book, they have live entertainment over the weekends. I would complain about paying an (minimal, eg less than $5) entry fee to Floriade if it helped cover the cost of this. Least Tulip Top give you a free sanga or cup of tea to enjoy with the entertainment. Or why not audition for buskers/entertainers to roam the displays ? No cost as they make their money from donations. Heck I remember 15+ years ago I used to perform with my high school band and again with the dance company I was apart of. Do they still do that ? Rotate the stalls / food to be LOCAL providers. We have plenty of amazing food vendors in our town, just check out The Hamlet, Westside Acton Park or those at the markets each and every weekend. Why serve crappy deep fried and over priced chips ? Last year I encouraged anyone visiting to park at Westside Acton Park and eat there before heading over, food is so much better and shockingly cheaper than a bucket of chips. I think the night show around two years ago was much better than what was on this year. There were these beautiful big flower sculpture things that moved according to the music. The light was also synchronized accordingly. There was something similar this year too, however, it was not as great. I feel a bit sorry for the organizers of Floriade. All their hardwork spoilt because of the bad weather. We go every year as a young family, it’s not a bad morning out if you get there early enough and bring your own food! The free attractions and events for little kids are fantastic, and definitely what keeps us coming back. Once the kids are older however I can’t see us going unless it seriously has a revamp. There are some great suggestions here like getting local businesses involved and arranging different caterers. When Floriade started, it was because people passionate about the flowers had an idea. It opened night and day, both for free. And each year they tried to make it better. They axed the night openings, then tried to make it a fully paid event by day. The NCA are close minded about it, and it’s now run by unimaginative event bureaucrats in CMD who are trying to squeeze a tired event for all its worth instead of injecting new ideas. By day it has been shrinking and becoming unimaginative for year, but at least its free. By night it was interesting, but particularly this year not worth the price. Worse still organisers seem in denial about the problems. They’ve now done severe damage to the brand of both Floriade and Canberra. It’s a sad way for what was once an innovative and very well developed attraction to go. There are other Tulip displays in this region and Australia that do a better job. If you want to see a real flower display take a walk through the National Botanic Gardens on Black Mountain. A pity more Australians do not embrace the amazing native flora we have around us rather than yearning for some fake European version. I go there regularly especially when the orchid hot house is open but if they started bussing in the tourists like they do at Floriade I wouldn’t be tempted to go back, ever. On the other hand, the TV adverts have been classy, but without pretension, which is no mean feat. Sounds like a job for “Super Brendan” to sort out. Why Floriade? Is it time to think again?